Local grass fed filet from our local butcher in Tennessee. Did a reverse sear at 220 degrees and then finished in a cast iron skillet with garlic, thyme, and butter. 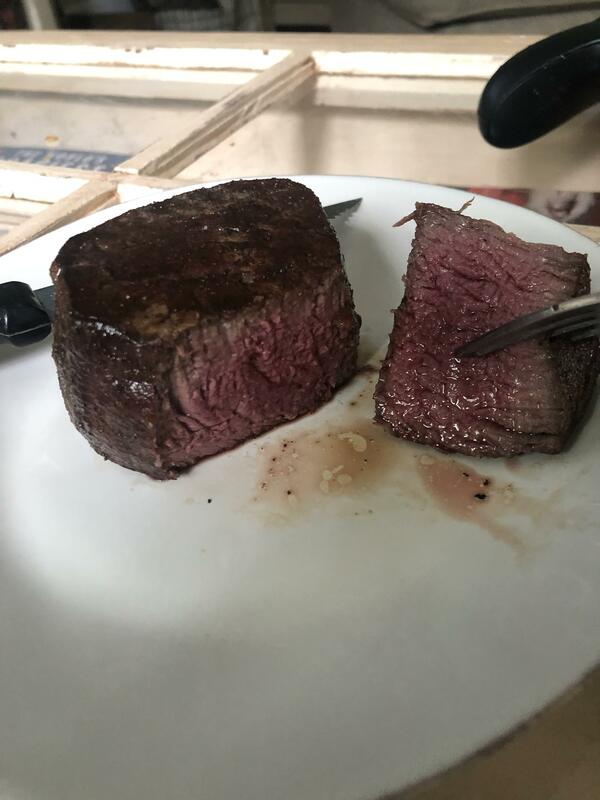 Best filet I’ve ever cooked, this sub has ruined me from ever eating steak out again! !